One of the most important, if not the most important factor to an SEO campaign is its link building. With Google’s Penguin 2.0 update only hitting the SEO shores just last week, I had written a small article detailing which link building tactics would best work to avoid been hit. Today we’re going to dig deeper and talk about 5 important factors to consider when building or earning incoming links. I will not and cannot stress this fact enough. Diversity should be the main thing you’re thinking about when formulating a link building strategy. Don’t keep all your eggs in one basket and expect them all not to crack when Google releases an algorithm update. Quality control your links and ensure they are as diversified as possible. Whether you’re building links from local directories, social bookmarks, guest posts or social media, always keep diversity as your top priority. This in return will help you prolong and solidify your SEO efforts. 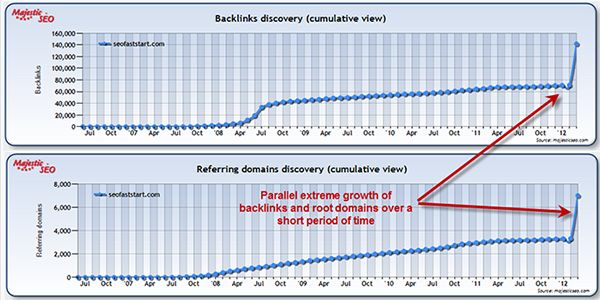 An example of a well diversified backlink profile looks something like this. Okay, now that we’ve got a range of diversified links, it’s time to plunge one step deeper. Building an excessive amount of exact match anchor text followed by a continuous stream of non-diversified backlinks is how I’d like to explain as: “cuffing both your hands, and handing yourself into the Google police before the raid even happened.” Keep your anchor text diversified and use exact match anchor text where appropriate. Use Majestic to carefully analyse your website’s incoming range of anchor texts. Consider the possibility that an unbalanced ratio of keywords to branded queries just might be setting off penalisation alarms. Quality is a no-brainer. Attract and earn links from highly credible sources. 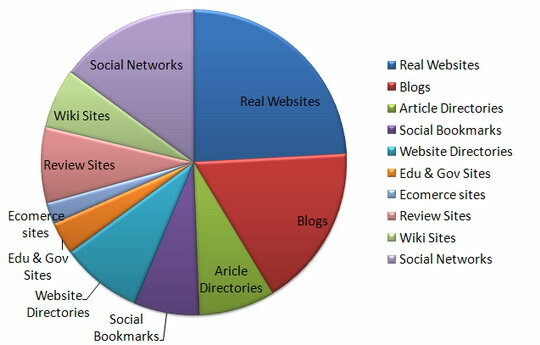 Always keep in mind a website’s PR (Page Rank), PA (Page Authority) and DA (Domain Authority). Doing so will allow you to determine which websites are of the highest quality, and which sites aren’t. An incoming link from Wikipedia with a PageRank 7 will mean a great deal more than a link coming from a small blog website with a PageRank 1. Build and attract links from the big guns and you’ll eventually have Google perceiving your website in the same light. SEO tools I personally find highly useful in determining quality websites consist of WebRank SEO and SEOmoz’s Mozbar. These two handy extensions will represent you with numerous important page metrics such as: PR, PA, DA, indexed pages, MozRank and more. Take these metrics into consideration when building links to maximise incoming link juice and ensure quality link control. For a brief brush up on SEO jargons, visit our SEO glossary. Google wants to see websites grow in a natural fashion. If you’ve got inconsistency within your link building strategy, this may quickly raise alarms. Say for one month you launch a heavy promotional content marketing campaign and your rankings improve as a result. 2 months down the track you’re undergoing zero promotions and the website remains close to dead. Now comes a small algorithm update and the rankings you’ve earned through your previous marketing campaign may very well be wiped off the map. Moral of the story, always be consistent. If you’re going to do something, keep at it and formulate a long-term sustainable growth plan. Last but not least, relevancy. A link earned through a highly credible, industry-related website is going to provide more link weight than a link coming from a blog which is totally unrelated to your industry. Another interesting point to look at is user interests. Building relevant links in industry-related sources will more than likely attract users who want what you’re trying to sell or offer. These links are what search engines are looking for, and also contribute to improving quality of visitors. To summarise, building links from relevant sources not only provide greater link weight but also attract targeted traffic, therefore reducing bounce rates, improving conversions and increasing sales. What else more could you want? Post-Penguin 2.0, these five factors are going to serve you well when formulating your link building strategy. Consider each factor carefully and remember to always diversify. Having been incorporating these five factors pre-Penguin 2.0, I’d love to know how Penguin 2.0 has affected you. Feel free to share your case studies and experiences in the comments section.